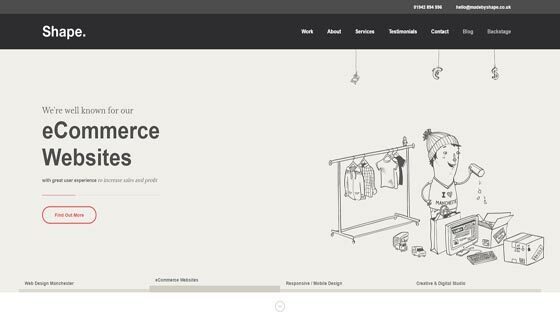 Are you looking for a top ecommerce web design company in Manchester UK? Here we list some of the best companies for ecommerce website development in Manchester and the surrounding area of North West England that could help you to start an online shop or sell more of your products online. 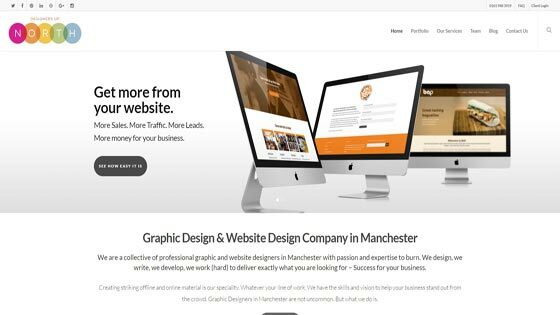 Shape is a Web Design and Digital Marketing Agency in Manchester, with experts in eCommerce website development, responsive, mobile friendly sites, and Search Engine Optimisation (SEO). 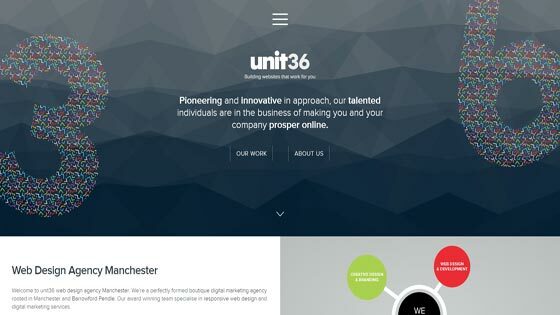 This Web Design Studio based in Manchester has an excellent reputation for building quality, bespoke websites and digital campaigns. Their work includes eCommerce web design and responsive website design. With over a decade of experience, Shape pride themselves on having an energetic, fresh and vibrant team, offering creative talent, industry knowledge and extremely high standards. Their team members have degrees in both Graphic Design and Web Design. 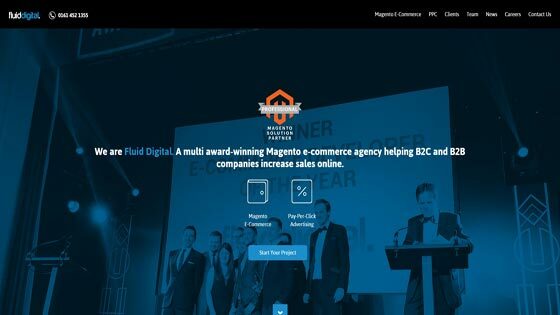 An award winning Magento Solution Partner and PPC experts, working to drive Ecommerce growth for B2C and B2B companies. A team of ecommerce specialists enthusiasts who work in various disciplines of the digital sphere. They combine Magento, PPC (pay per click) and CRO (conversion rate optimisation) to deliver a living, breathing website that is built to last. Sizzle Web Design in Manchester is a Multi Award Winning, Affordable Business Website Development Agency. The company shuns a one size fits all approach and aims to create bespoke Content Management Systems (CMS), Ecommerce and Brochure Websites for clients who want their website to reflect their business in a really individual way. 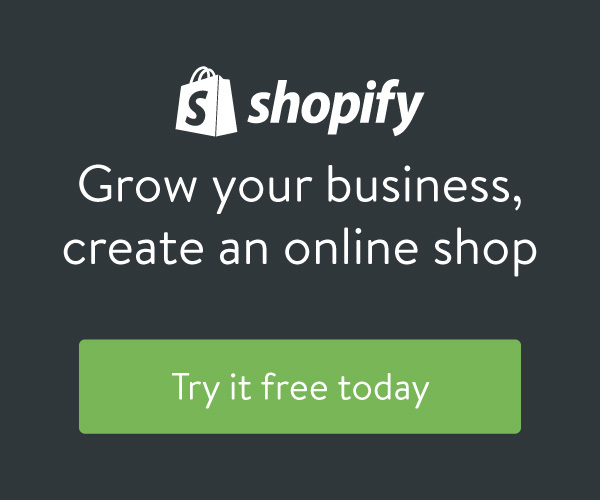 The create websites that work as a “shop window” for your business, and as such, your website should be as unique as you are. An award winning website design & SEO company. 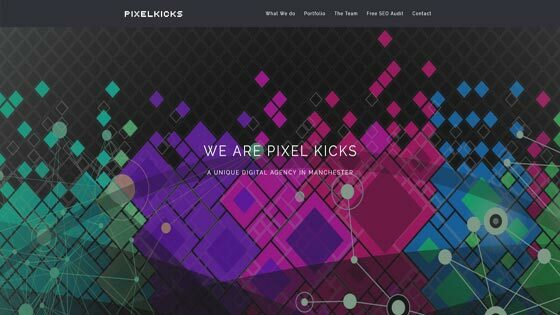 This highly rated digital agency based in Ancoats, Manchester aims to produce slick and stylish websites that stand out from the crowd, with solutions ranging from simple web presences right through to large ecommerce stores. Graphic & Website Designers in Manchester with vastly experienced creative professionals. Each has years of experience in their respective fields and have worked in design agencies across the UK for a wide range of local and national clients. 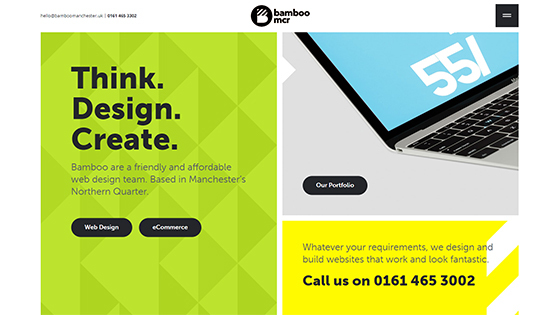 Bamboo Manchester is a friendly and affordable web design company in Manchester, based in the Northern Quarter. Whatever your requirements, Bamboo can design and build websites that meet your needs. This small team, established over ten years ago, specialises in producing strong creative ideas, and implementing them in a down-to-earth manner. A well established ecommerce consultancy and marketplace specialists based in Ancoats, Manchester. Specialist Magento certified developers. Their founder has the best part of 20 years experience in eCommerce. That gives them a strong foundation, alongside a reputation as being open, honest and trustworthy partners for your business. A small yet perfectly formed boutique digital agency rooted in Manchester & Barrowford. The company has experts in digital marketing, eCommerce web design, bespoke WordPress development, branding and SEO. They believe that quality is much more important than quantity, hence their ‘boutique’ approach to business. They have website development and design experts that work to establish your brand, both online and offline. Their experienced marketing and content strategists can guide that brand to success. VisionSharp eCommerce Web Design Manchester – this company has a creative edge for logos through to excellent websites to help you sell products through an online store. Founders and co-directors, Adam Johnson and Jon Irvine, both from Manchester, have great knowledge in the web design and development area. 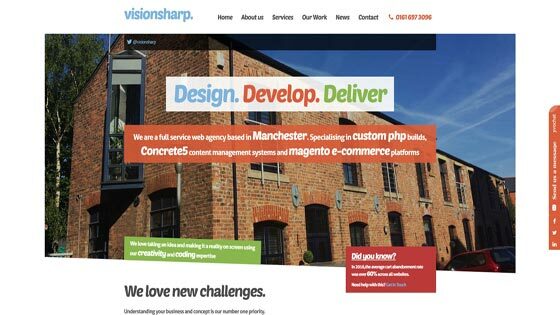 The decided to create a Manchester city-centre based web design & development agency – and Visionsharp was born. HIA Web Design are 5* reviewed, friendly professional web designers based in Manchester. This Website Design & eCommerce company has been established for over 16 years. Their team has experts in of designing, maintaining & optimising websites and have built many websites that perform well in Google to help their clients get seen and sell products and services via the Internet. 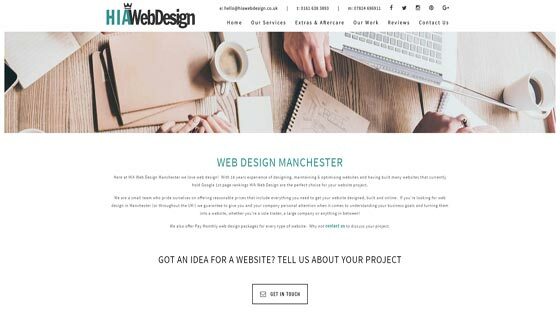 We hope that this list of the best ecommerce web design companies in Manchester can help you to create a great website that delivers the image, traffic and sales you need to succeed online. You may also want to check out our advice on choosing the best ecommerce hosting companies to consider for your needs, in order to keep your website fast, secure and reliable. 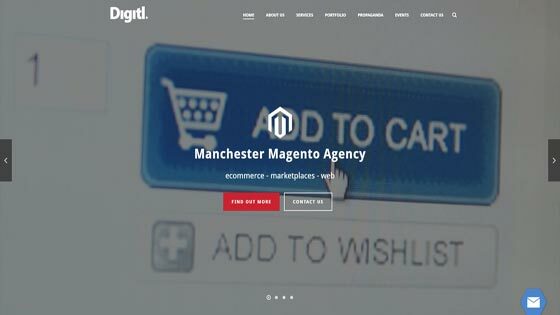 Have we missed any top ecommerce agencies in Manchester from our list? Contact us to let us know!